Photography of any kind at night can be a slow process getting started. 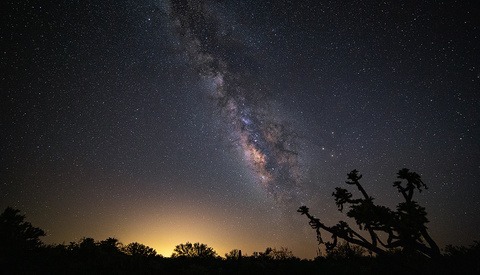 Photographing the Milky Way, however, may require a little bit of extra technical knowledge ahead of time before really letting your creative side take over. In this video from PhotoRec TV, Toby Gelston breaks it all down before jumping into it. Unlike any ol’ star photography, timing really does matter when photographing the Milky Way. 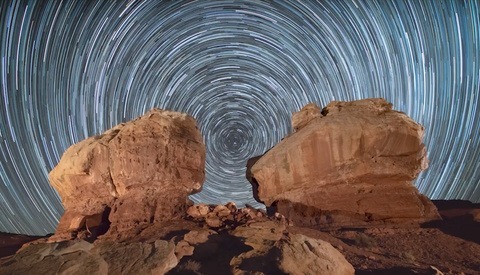 It becomes a factor both seasonally, when the galactic core can be found in its most photogenic state, and weekly, seeking out the days near a new moon or times when the moon is below the horizon. 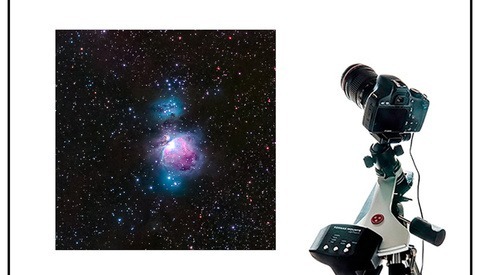 Gelston recommend using an app like PhotoPills to find the rise and set times for the moon, as well as for its AR function to visually see ahead of time where the Milky Way will come up over your horizon. As with all astrophotography, location is also a big deal. In short, you want to get away from cities and the artificial light glow that emanates from them. Tools like Dark Site Finder can help you seek out those secluded locations nearest to you. Check out the video above for all of Gelston’s great tips to get started with photographing and processing images of the Milky Way. The information was great, but the pacing was even better. Others should emulate Toby's get-to-the-point style of presenting, including phrases like "I have my favorites listed below" and "a quick search online yields lots of helpful info" (i.e., not reciting everything ad nauseum in the video itself). It was also nice not to hear mistakes and "Um..." and "Ooops, let's just close that out and re-launch it" right in the middle of it. I never had an interest in sky photography until yesterday when I read Fstoppers' January Photographer of the Month presentation and looked through the Josh Borup's photos. This video may be a good place to start. (And I even have the Irix lens, too.) Thanks for the post.